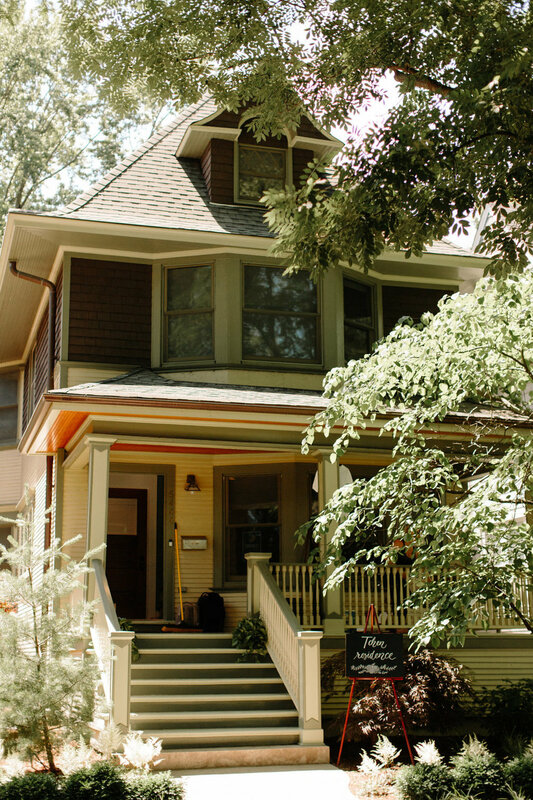 We are savoring the last weeks of summer time Chi and can’t think of a better way to enjoy it than a block party! 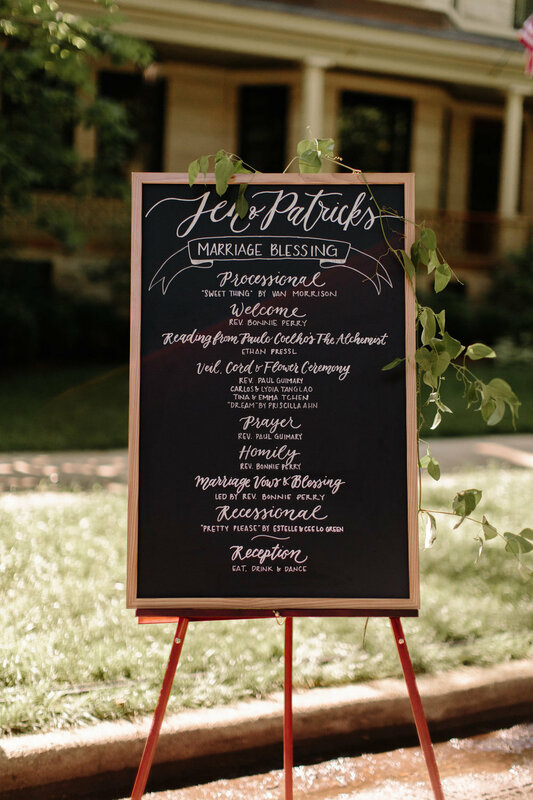 Filled to the brim with gorgeous florals, life size games, and a potluck style dinner we love that Jen and Patrick hosted a block party for their wedding celebration! Keep scrolling to see more from their incredible day! The story: Late last year, Jen and Patrick eloped to Yosemite National Park and only a handful of family and friends were able to make the trip. The couple felt that celebrating with everyone was something they missed at their elopement but an “average wedding” wasn’t their forte. 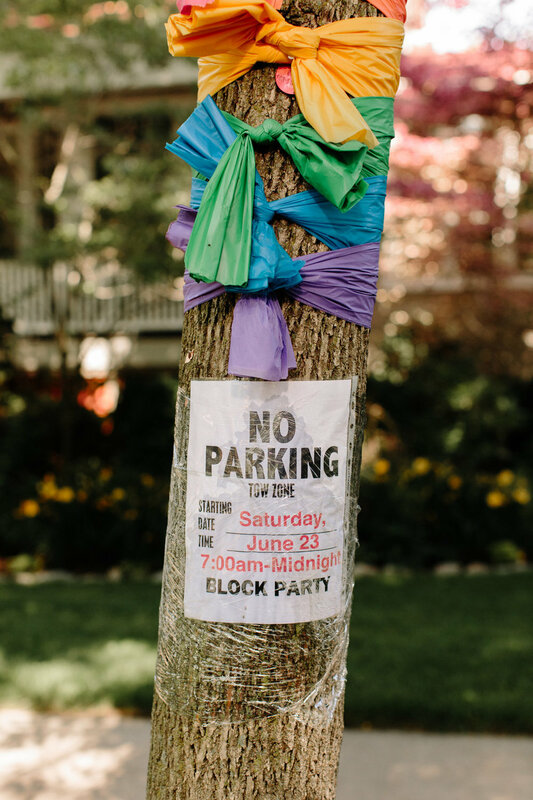 They wanted to create something unique yet personal so they decided to host a block party on the same street Patrick grew up on! Isn’t that amazing!? Anemone Chicago created a drop dead gorgeous arch for their ceremony full of the most perfect pink peonies and added finishing floral touches to their three tiered cake from Magnolia Bakery. We have a crush on the llama cake topper for sure! The bride looked stunning in her Monique Lhuillier gow! Her look was complete with hair and makeup from Diem Angie Co. The groom wore his honorable United States Marine Corps full dress uniform for the "I-Do's". Guests danced in the street to music provided by DJ AD Entertainment under thousands of globe lights. Their day was filled with so much joy and their wedding was definitely one to remember!